Long before Healthy Holly books became a hot commodity amid the University of Maryland Medical System board scandal – with reporters scrambling to snag the used copies briefly available on Amazon – the self-published books appear to have been an oddball handout by a hard-charging, physical-fitness-loving politician. 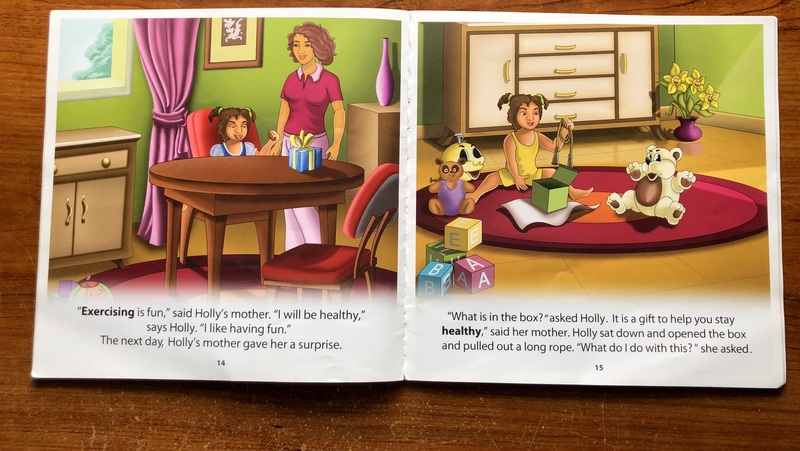 Multiple people told The Brew they were handed copies of “Healthy Holly: Exercising is Fun!” by the author herself, then Senator Catherine Pugh, in the run-up to her unsuccessful bid for mayor in 2011. “My impression at the time was that the books were weird, first off, and that they went along with Pugh’s wanting to tout her role in helping start the Baltimore Marathon,” said Edit Barry, a Baltimore-based brand strategist. Barry said Pugh was giving the books away at the Sunday Farmer’s Market under the Jones Falls Expressway, handing one to her husband. Actually, the Barry household got two Healthy Hollies that year. Edit Barry got hers from longtime Pugh friend and former spokesperson Anthony McCarthy at a 2011 pre-primary forum in which Pugh participated. “I got one from Anthony McCarthy at a student-run mayoral debate put together by The Intersection” group, said Barry, who was then a Hampden parent with a blog about local education issues. Pugh was giving the books away at the Sunday Farmer’s Market under the Jones Falls Expressway. Asked if the give-away was basically campaign literature – as in, ‘Here’s a book, vote for me!’ – Barry said it wasn’t quite that explicit. For Larcia Premo, who got her copy when Pugh showed up at a neighborhood event in Reservoir Hill, the freebie book was definitely part of the 40th District senator’s 2011 campaign push. “The mayoral race was gearing up, and Pugh was clearly there to be seen – it seemed like a PR give-away,” said Premo, recalling the event as taking place at a community playground. Odd, unsolicited and apparently largely unread, the Healthy Holly books were one of several contracts that people had with the University of Maryland Medical System, while sitting on its board, that are now under scrutiny. Pugh came in a distant second to Stephanie Rawlings-Blake in the Democratic Party primary, but triumphed five years later to become Baltimore’s 50th mayor. 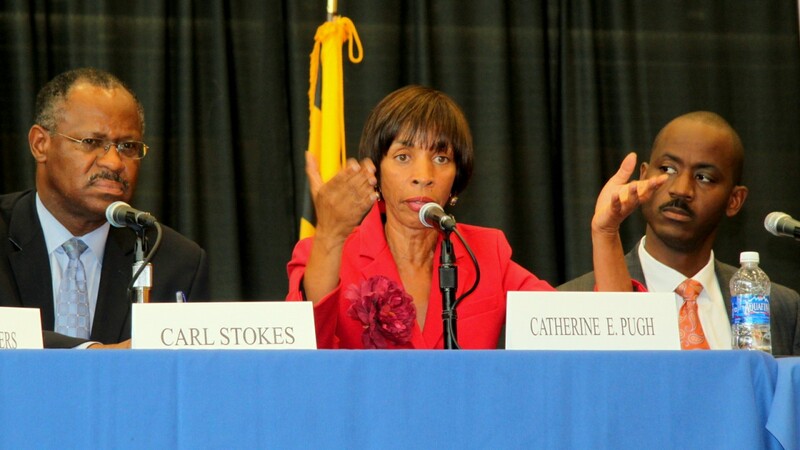 Now Pugh is under intense scrutiny with the disclosure that she and other members of the UMMS board of directors received lucrative contracts from the hospital system. In Pugh’s case, most of the payments came when she chaired a Senate health subcommittee and took part in approving millions of dollars in expenditures benefiting the institution. There has been no acknowledgement by UMMS of supporting Pugh’s political ambitions, even though top administrators gave substantial contributions to Pugh!s 2016 mayoral bid and three UMMS board members loaned her campaign $200,000. Pugh last week resigned from the hospital board, and UMMS President Robert A. Chrencik has been placed on leave as the board launches an investigation. Fueling the speculation that Pugh’s contract with UMMS was “self-dealing” is the fact that no one has been able to say where the 80,000 Healthy Holly’s ended up. Or if the books exist in those quantities at all. Pugh has said 21,000 of the books were given to city students. School officials have only a hazy memory of the donation and say they can find no documentation of the gift. The books are not in school libraries, local bookstores or the city’s Enoch Pratt Library. (The Brew’s copy came via Amazon and was said to originate from Goodwill Industries of Monocacy Valley.) There’s no publisher listed. If 8,700 Healthy Hollies are or were inside the Pulaski Highway warehouse, that still leaves 71,300 books unaccounted for aside from scattered giveaways by Pugh under the JFX or at community events. For Premo – a teacher of sculpture and printmaking who had a low opinion of the book’s literary and artistic quality (“Just awful. We gave it to Goodwill”) – the Healthy Holly series’ strange provenance explains a lot.